Orthotist Required: VertAlign TLSO/LSO Inventory is Custom Fit not OTS! 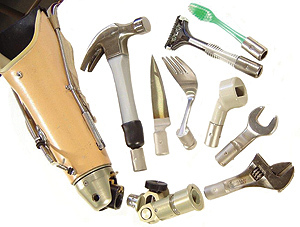 Having a component inventory available in your facility does not make our product OTS. A VertAlign Spinal Support System is custom fit, requiring the clinical and biomechanical expertise of an orthotist to select the correct front and back shells from the 550 different size, shape, and lordosis- and kyphosis-possible configurations. 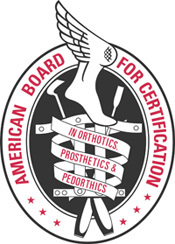 The orthotist's professional skills are needed to select, adjust, and apply the components that meet the patient's unique anatomical spinal support needs. We provide components and product training. You provide clinical judgement and professional skills. TRS introduces a stronger, more versatile, two-piece cable-harness hanger system in standard and heavy-duty cable versions. It features a reusable hanger component and a replaceable, less expensive ball adapter cable fitting. The new Binary Hanger System is constructed of high-performance stainless steel and is significantly stronger than conventional hangers. Additionally, the system allows for double swaging the ferrule, capturing the cable and creating significant extra strength. It's another superior-quality TRS product. Introducing New Titanium Digits for All i-limb Hands! 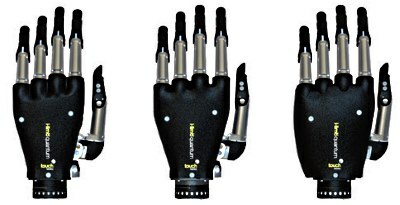 The TAD system for people with upper-limb amputations is designed to temporarily replace the hook or prosthetic hand on body-powered or electronic upper-limb prostheses to allow the user to safely perform a wide range of activities. For people with partial hand amputations or hand dysfunction, the system components can also be used with a WHO brace equipped with a quick disconnect coupler in the palm. TAD's quick insert-release terminal device holds a wide variety of interchangeable tools and implements, including dining or cooking utensils, personal grooming devices, and tools for gardening, carpentry, mechanic work, sports, and hobbies. NSP/CSP is a green, eco-friendly, natural fiber that creates no itch. Copycat fibers that claim no itch don't compare. NSP/CSP is a unique fiber that is lighter and stronger, and offers half the stiffness and ten times more impact resistance than carbon. The stiffness can be regulated by fiber orientation to equal carbon. NSP/CSP is dynamic in its ability to be either stiff or flexible depending upon the practitioner's preference. NSP/CSP wets out fast because of its high resin fiber interface and low void content, which means the resin sticks and air does not get trapped easily. The MAGLOCK eases the frustration of donning a pin lock liner for patients who have transtibial or transfemoral amputations and K1- K3 activity levels. The MAGLOCK is developed to deliver up to 90 lb. of force. Pro-Flex is More Than a Foot. It’s a Family. All Pro-Flex® feet feature a unique three-blade design with a foot blade that incorporates a full-effective toe lever and a more anatomical split toe. This innovative design helps generate exceptional toe-off energy and a fluid, natural progression from heel strike to toe-off. 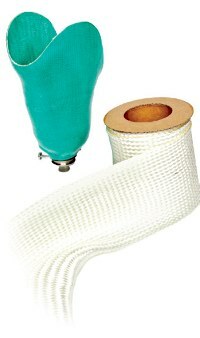 Learn more about the Pro-Flex family at www.ossur.com/proflex. The new SwingBrim™ technology offers the same dynamic brim comfort as the full Socket-less Socket™, but can now be integrated into existing sockets as well. No more static brim shape. No more hard ischial seat. It's the difference between sitting on a hard chair versus sitting in a soft hammock. View the free SwingBrim and Socket-less Socket training at MartinBionics.com. The Superior Performance (SP) Liner features new, black fabric that allows for additional comfort and stability for active patients. The liner is formulated with both ALPS GripGel and High Density (HD) Gel, which contain properties that help facilitate donning, as well as reducing pistoning and bunching behind the knee. The SP Liner provides superior comfort and diversity and is offered in 3mm and 6mm uniform thicknesses to accommodate most users. 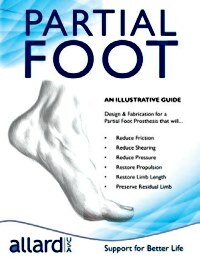 Partial Foot, An Illustrative Guide, is a comprehensive 12-page guide for the management and fabrication of a partial foot prosthesis. Reduce friction, reduce shearing, reduce pressure, restore propulsion, restore limb length, and preserve the residual limb. The guide has professional illustrations and step-by-step instructions. We support our customers to provide better lives for patients. Call or e-mail to request your free copy. Compare and reduce cost in 2017 with OPTEC's Best Price Guarantee program. Call us at 888.982.9191 or visit us at www.optecusa.com and take advantage of this exclusive program designed to save you money.